Okay, so I realize that this tutorial has nothing to do with cute, cotton fabric from the shop, but these turned out so cute I just HAD to share! I saw THESE trees at Target and wanted them sooooo badly. But thought that I could probably make them for a bit cheaper. I found a red and cream sweater at my local thrift shop for $3 each. The cream sweater had little balls on it.....PERFECT! 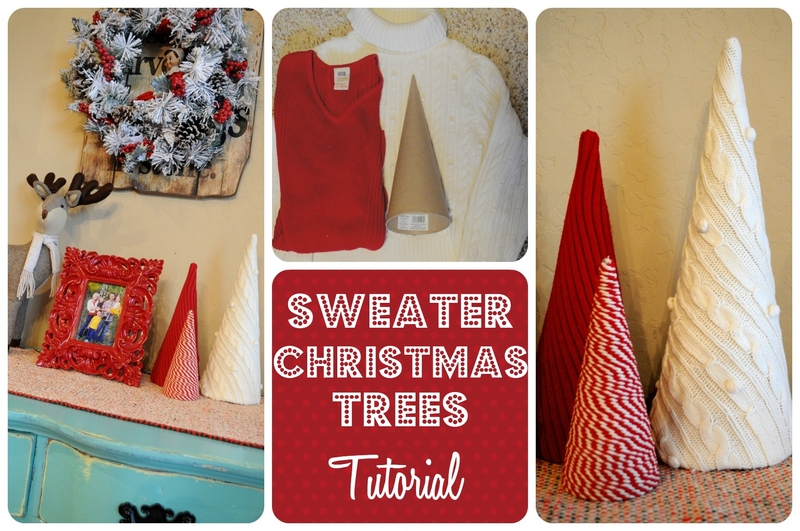 Maybe you already have some old sweaters in your closet....Sa-weet! 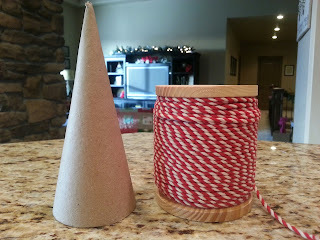 I also found these cute little Paper Mache cones that you can find at any craft store for around $1. I laid the cone on top of the sweater and cut a triangle shape about twice as big as my cone. You don't have to be exact, your sweater will stretch around the tree. Or, you could just use part of the sleeve, whatever will fit around your tree. Then I folded the sweater around the tree, wrong side out, and pulled it tight around the tree and pinned it down the seam, connecting the sides. Then I pulled it off the tree and sewed where I had pinned. I used a zig zag stitch to help the sweater from stretching too much as I sewed. For the smallest tree I used some Candy Cane Stripe Holiday Twine that I found at my local craft store too. This time I did pull out the glue gun and simply placed one little dot of glue at the top of the tree, put one end of the string on the glue and started wrapping. It took a whole 60 seconds to wrap and cover the tree. Then I put another dot of glue along the bottom to hold it in place and viola! The Christmas Trees are done!!! I love them. This is my new favorite corner of my kitchen! And did you spy a certain someone in the photos? Our Elf on the Shelf "Buddy" has arrived and has the kids gleaming everyday with his new hiding spot! Those trees are so cute! I have some old chenille bedspreads with balls on them. You gave me an idea! I have made chenille snowmen, now I can add trees around them and can use things I already have! I have something to share as well. 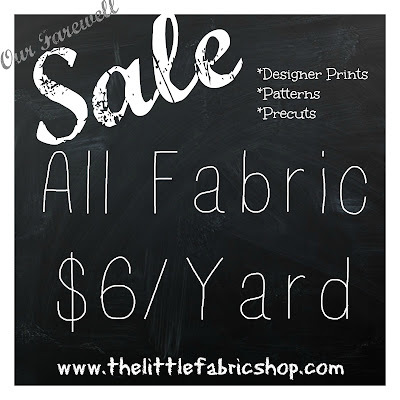 Black Friday Sale Starts Now!!! !